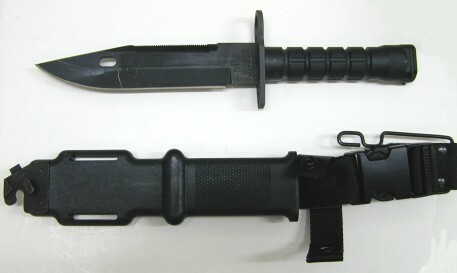 The Ontario M9 is a much lighter green in the handle and the scabbard than the LanCay. 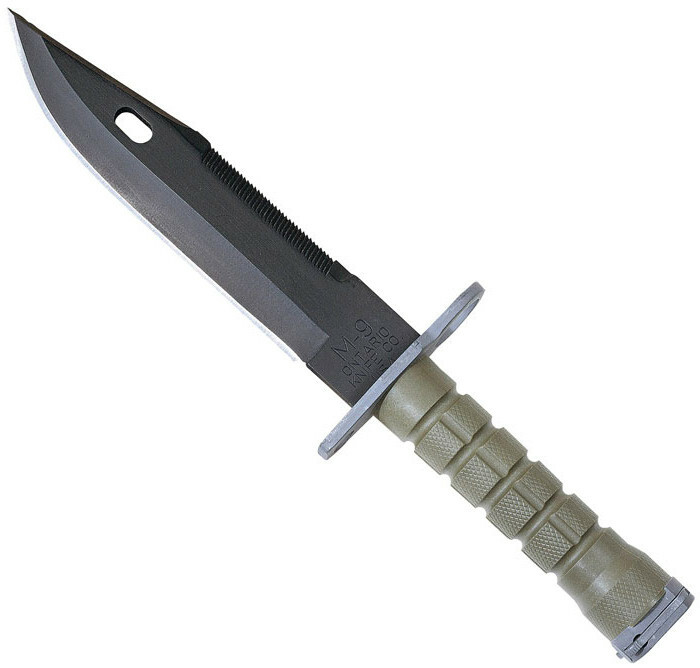 The color is called Forest Green and the blade contains the following markings: M-9 / ONTARIO / KNIFE CO / USA. This latest contract was filled by June 2000. Following is an Ontario M9... Note, I do not know if this is a correct USGI Issue M9 but the markings match those of the USGI Ontario M9. PLEASE NOTE: When to comes to the Ontario Knife Works M9 bayonet, I really know very little about their history. As with the other M9 manufactures, I am working to appreciate and compile the history and you can see the photos and details that I have complied AT THIS LINK. You can also browse The M9 Bayonet Forums as there is lots of other great info in there or you are always welcome to join and help with the project!